Scars can form as a result of surgical treatment, traumas, burns, skin damage as well as a result of inflammatory condition of skin such as pimples (acne), stretch marks can form because of mechanical stretching of the skin. Patients experience psychological discomfort constantly, especially in cases when the scar is visible. A scar is a result of a normal healing of a damaged skin. It completely forms within several months. The protection from sunlight is the most important condition for the formation of a minimum scar. Red scars form under constant skin inflammation or because of enlargement of capillaries in the skin, also because of blood accumulation after an injury. Brown scars form under condition when too much of melanin pigment (secondary hyperpigmentation after an injury, exposure to sun, medication impact, for dark-skinned individuals) accumulates in the newly formed scar. White scars form when there is a shortage of melanin in derma or in case of tissue fibrosis. Raised scars form when there is a tendency for the formation of thick scars (keloids). Keloids can be raised vertically as well as to the sides. Concave, atrophic scars are divided into these types: “Ice pick” (after acne), “Box-car” (after acne), “Roller” type scars (after acne). What influences scar treatment with laser possibilities? Time after the formation of a scar. Individual tendency of the body to form scar tissue. Wide spectrum of lasers applied to the scar correction and their combinations. When is the best time to start treating the scar? Natural healing processes take place in a new scar for some time – usually for about 6 month. These processes, if necessary, can be promoted by applying topical products containing hyaluron and zinc hyaluronate or silicon that forms a protective film binding moisture, therefore, the scar becomes smoother, softer. These products are special gels, creams, and ointments for scars. After an active healing period products applied become ineffective. What works for the treatment of scars older than 6 months? Lasers are the most modern and the most effective non-invasive treatment method. Surgical method when the surgery is done on the scar. Even so, the scar remains. Hyaluronic acid fillers are used for atrophic, concave scars. Hyaluronic acid filler is injected underneath the scar. It lifts the scar and smoothens the surface of the scar. Injection methods – certain medication product is injected into the scar. All scar treatment measures for the scar correction that are the most effective for a certain scar are used in Era Esthetic Laser Dermatology Clinic. 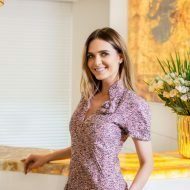 Modern, considered as a “gold standard” for each scar group microfractional dual impact laser Fraxel Dual and VBeam2 Perfecta pulse dye laser as well as their combination are used in order to ensure best results. What is the impact of the laser on the scar? Laser beam affect collagen in skin, stimulates it, promotes the increased production of collagen, thus, the scar is “filled” with new collagen, the elasticity of the skin in damaged area is improved, the scar is smoothened, its colour adjusted. During the treatment depending on the laser, different operation mechanisms are applied. Thousands of perpendicular microcolumns are made in skin using fractional laser. These columns heal by pulling surrounding tissue and new cell columns start forming. They fill damaged area and correct the scar. Concave scar surface can be raised, raised scar tissue can be smoothened, and smooth surface can be formed using this method. Lasers by affecting melanin pigment of skin and hemoglobin in small blood vessels allow the scar to turn pale quickly, now mater their color – red or brownish. Fractional laser Fraxel Dual is a leader for fractional skin renewal, i.e., it smoothens the surface of the skin by forming new healthy cells. It is especially useful for scars that formed after acne, for linear, concave or raised surgical or hypertrophic scars. Because of additional integrated 1927 nm Thule wave for pigmentation removal it corrects brown pigmentation scars especially well. Please be reminded that stretch marks – concave skin formations – do not differ from scars in texture, therefore, fractional laser Fraxel Dual is suitable for the correction of stretch marks as well. What laser for what scar is suited best? 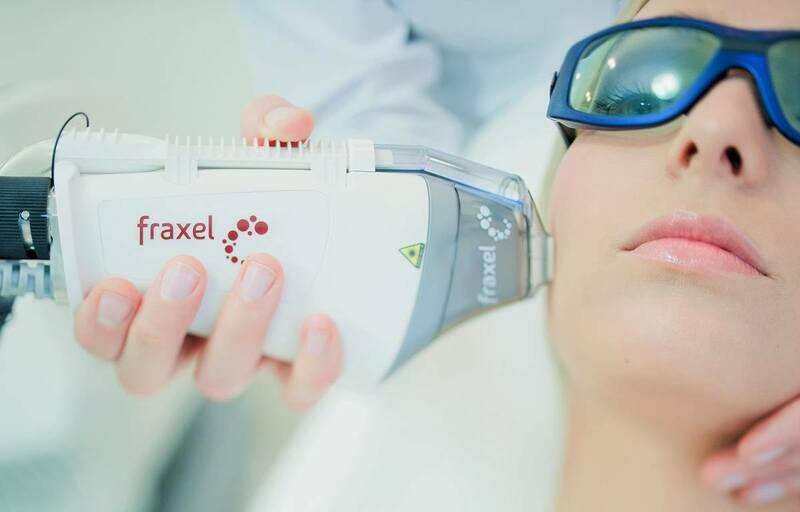 For more information about fractional Fraxel Dual laser read under fractional skin renewal with Fraxel Dual laser. Pulse dye VBeam Perfecta laser applied to red scars and keloids is considered to be the gold standard for their treatment. It affects capillaries in the scar and by coagulating them “withdraws” red color, smoothens scar surface, reduces itching typical for keloids. Era Esthetic laser dermatology clinic has the highest rates and experience and uses laser technologies and companies that are tested and have won strong positions worldwide, therefore, we offer only the best for you. What should you know before starting treating the scar with laser? The condition of patient‘s health – diseases, medications used, previous scar healing problems, if any. Immediate plans for future – if the scar is in visible area, it will swell and redden, the skin will have to be protected from sun, one will have to apply special creams. Therefore, it is advisable not to start the treatment before holidays, when planning to sunbath, or participate in photo sessions. Scars are not treated during pregnancy. What is felt during laser treatment? Skin is treated with anesthetic cream before the laser procedure depending on scar and laser, also all modern lasers used in Era Esthetic laser dermatology clinic has integrated cooling systems that cools the skin during the whole treatment. Warmth or heat sensations can be experienced. The procedure depending on the area being treated can last from several minutes to an hour. How many times does the laser treatment for scars should to be repeated? It depends on a certain scar, its formation time and characteristics. The doctor will give you advice and will recommend the best treatment method. 2-5 procedures are necessary for the correction of the scar. They should be performed every 1-5 months. 1-2 procedures are enough for colour correction. Periods between treatments can be longer but not shorter. Results achieved are irreversible, procedures do not have to be repeated. Professional physicians-dermatologists performing procedures at Era Esthetic laser dermatology clinic will recommend treatment method, laser, their combination, or procedure combination in order to achieve the most effective results during free consultation before the procedure, thus you can be certain, that the most effective scar treatment method will be offered to you individually.